Mary Baker is a senior litigation attorney and Of Counsel to BerlikLaw, LLC. Mary engages primarily in civil litigation, including business and commercial litigation, employment litigation, intellectual property and trademark litigation and complex litigation. She has handled litigation covering essentially every issue that affects business. 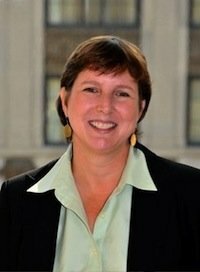 She litigates primarily in Northern Virginia the District of Columbia but has litigated in federal courts in California, Georgia, Maryland, New York and Texas. Winning a $5.4M verdict as lead counsel for a successful Northern Virginia internet technology company in an employment and trade secrets theft case in the U.S. District Court for the Eastern District of Virginia. Winning a $1.3M judgment as lead counsel for a D.C. defense subcontractor in a government contract/breach of contract dispute with a major defense contractor. Arguing and winning an appeal before the Ninth Circuit in a $30M fraud and Ponzi scheme case. Securing a multi-million dollar settlement in a real property dispute in Loudoun County, Virginia (Loudoun County Circuit Court). Winning a directed verdict on behalf of defendant foreign embassy in dispute over real property in the District of Columbia involving issues of sovereign immunity. Arguing a case of first impression before the D.C. Circuit Court of Appeals regarding Foreign Sovereign Immunities Act and employment. Successfully defending defendant-employee in the U.S. District Court for the District of Columbia in trade secret-breach of fiduciary duty case. Serving as co-counsel in a complex $9B case in one of the largest ever alleged Ponzi schemes and helping secure successful settlement.